The only predictability in life is its unpredictability. Living in the Land of Easy ~ Dinner for One Mushroom Lover! In the time that it takes to boil pasta water and cook the pasta you can have an easy dinner…Run, run, and run to Nigella for just about the most satisfying linguine recipe ever. It just so happens that I came home with mushrooms today and knowing that I had a full day of baking (not really my thing), I ran across a Nigella Lawson’s recipe from Food Network that I had saved. Serves many or just me… what a powerful recipe and another go to for me. So simple and easy and I scaled it down for 1 but enjoy ½ or the entire recipe. 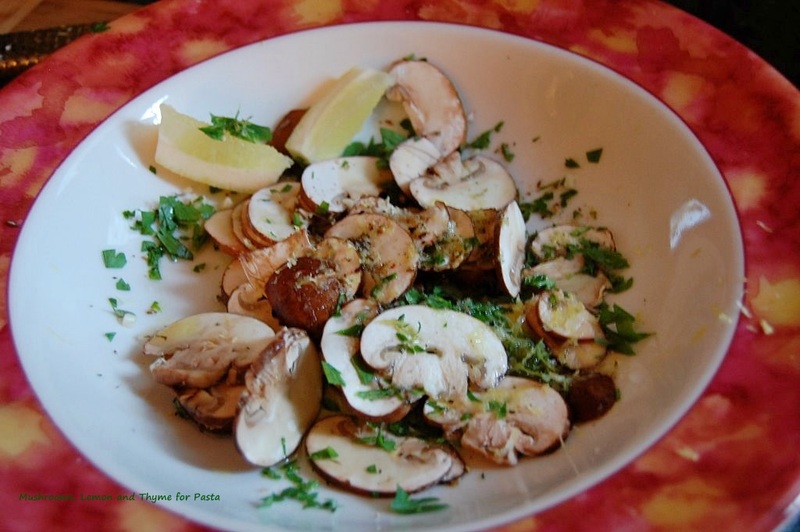 Thinly slice the mushrooms, and put them into a large bowl or an individual bowl with the oil, salt, minced garlic, lemon juice and zest, and gorgeously scented thyme leaves. Cook the pasta according to instructions and drain loosely retaining some water. 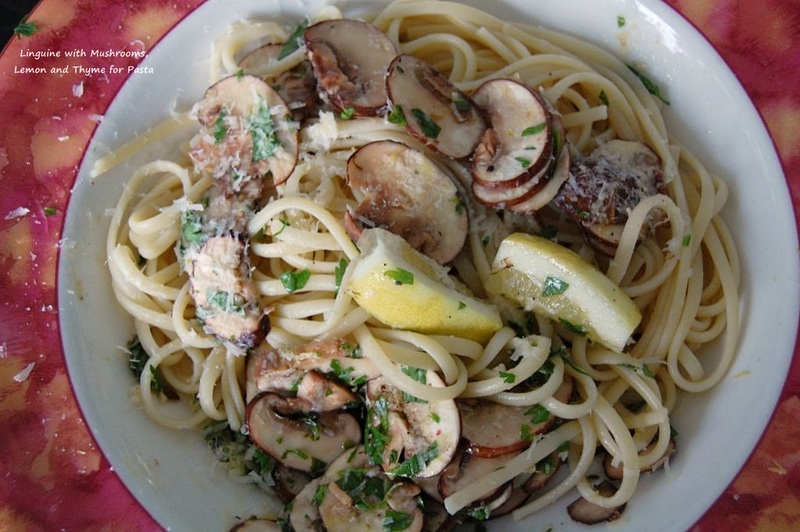 Quickly put the pasta into the bowl with the mushroom mixture. Toss everything together well, and then add the parsley, cheese and pepper before tossing again.